Mendocino Resort Introduces Two Nautical Specials with a Gourmet Twist – Dive Safely for Prized Abalone or Kayak to a Picnic on a Private Beach. 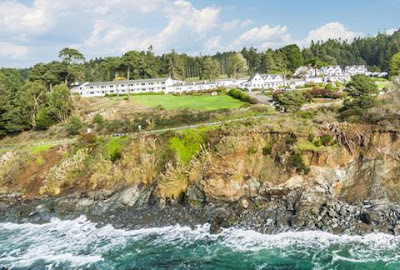 The Little River Inn, an ocean-view Victorian inn on the Mendocino Coast, premieres two new packages that combine oceanic adventure with culinary delights, as befits an inn with an award-winning restaurant and CIA-trained chef. After the roaring success of Abalone Camp, an early-summer diving experience that allowed even first time divers to harvest the legendary delicacy with the guidance of professionals, and then learn to prepare and cook it into a gourmet feast, the inn has crafted the new ABALONE ADVENTURE AT THE ALBION SCHOOLHOUSE. For the more romance-oriented traveler, the Little River Inn offers the PRIVATE PICNIC SEA KAYAK package, where a personal guide takes you and a loved one to a private beach for a chef-prepared picnic. Both packages are available now through late fall. Stable, comfortable, and suitable for all ages and levels of skill, there’s no better way to commune with the Pacific than a sit-on-top kayak. Harbor seals, sea stars, and shore birds will be your companions as a guide brings the two of you to a private beach where you will indulge in a picnic lunch created by Chef Marc Dym. PRIVATE PICNIC SEA KAYAK package is available from August 1, 2016 until October 31, 2016. The package starts at $705 for two, exclusive of tax and gratuity. Advance reservations are required for booking; we need at least three days’ notice to make arrangements and ascertain that conditions will be suitable. Room upgrades are available with this packages at an additional price, based upon availability. One-hour massages can also be added to package at the time of booking. Enjoy a classic, relaxing massage using a creative blend of techniques by their highly trained professionals at the Little River Salon & Spa. 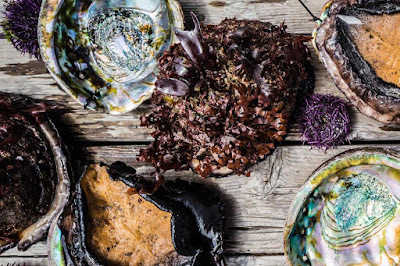 If you always wanted to learn how to dive or if you crave the succulent taste of abalone, the ABALONE ADVENTURE AT THE ALBION SCHOOLHOUSE is a must for you. This odyssey offers avid divers and novices alike a rare opportunity to dive with some of the most renowned freedive guides in the region for prized local abalone during Northern California’s peak season. The dive will be followed by a demonstration on how to clean and prepare the collected bounty, culminating in a delectable feast prepared for you on the day of the dive. You stay during your adventure at the charming Albion Schoolhouse, a 1930s gem appointed in the spirit of art deco yet outfitted with modern amenities. ABALONE ADVENTURE AT THE ALBION SCHOOLHOUSE package is available August 1, 2016 – November 30, 2016. The package starts at $4,000 for six people. Reservations are based upon availability and require a 14-day notice. To book this package call 888.INN.LOVE (707.937.5942). 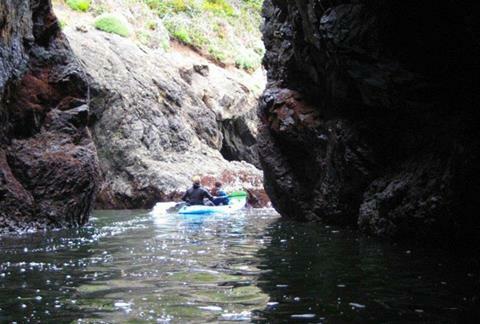 NOTE: Adventure does not include Abalone Diving License. Guests MUST purchase a license prior to the dive. Additionally, one abalone per diver must be donated for the communal dinner; divers can keep additional abalones caught that day. Either experience sounds wonderful.. I love the idea of having an adventure and being able to eat delicacies that one caught oneself. Unfortunately it would be a little too much money for us to spend.